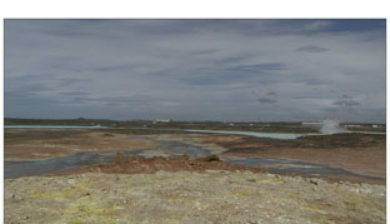 The mud pools and steam vents on the southwest part of Reykjanes. 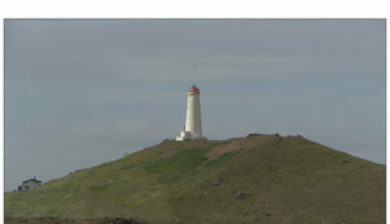 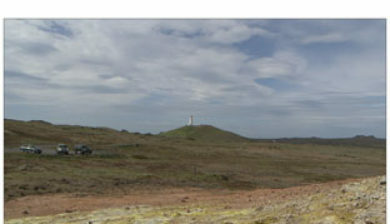 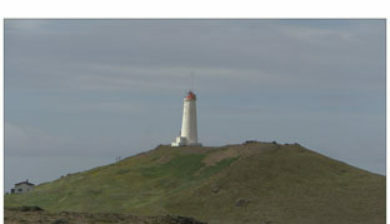 The area is close to Reykjanes lighthouse and is collectively named Gunnuhver after a female ghost that was laid there. 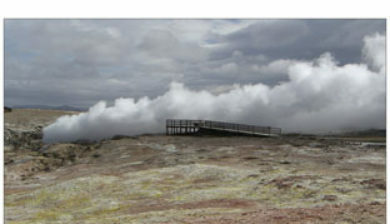 She had caused great disturbance until a priest set a trap for her and she fell into the spring. 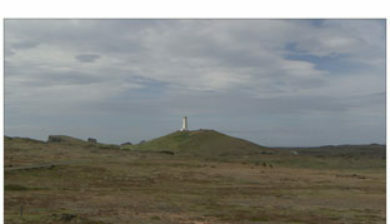 This happend about 400 years ago. 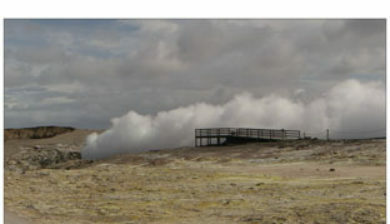 The mud pools form where steam from boiling geothermal resevoir water emanates and condenses and mixes with surface water. 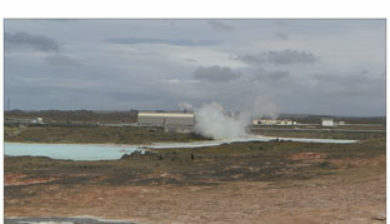 Accompanying gases such as carbon dioxide and hydrogen sulphide make the water acid. 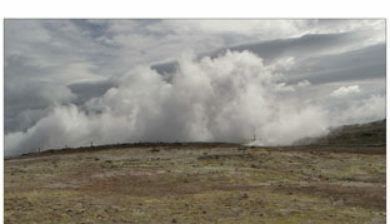 This causes alteration of the fresh lava rock to clay. 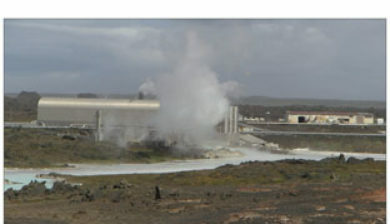 Steaming of the ground at Reykjanes increased markedly as a consequence of a pressure drawdown in the geothremal reservoir upon the start of production from the reservoir in 2006. 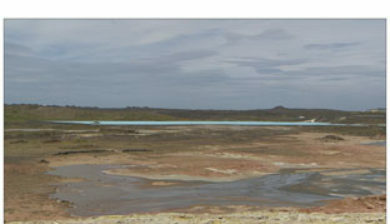 Iceland´s larges mud pool at present prominent, highest up in the Gunnuhver group. 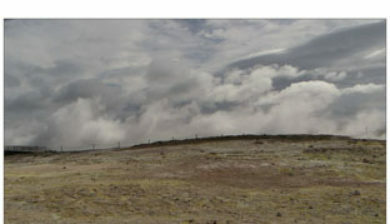 It is 20 meters wide across a rim of mud, boiling vigorously.